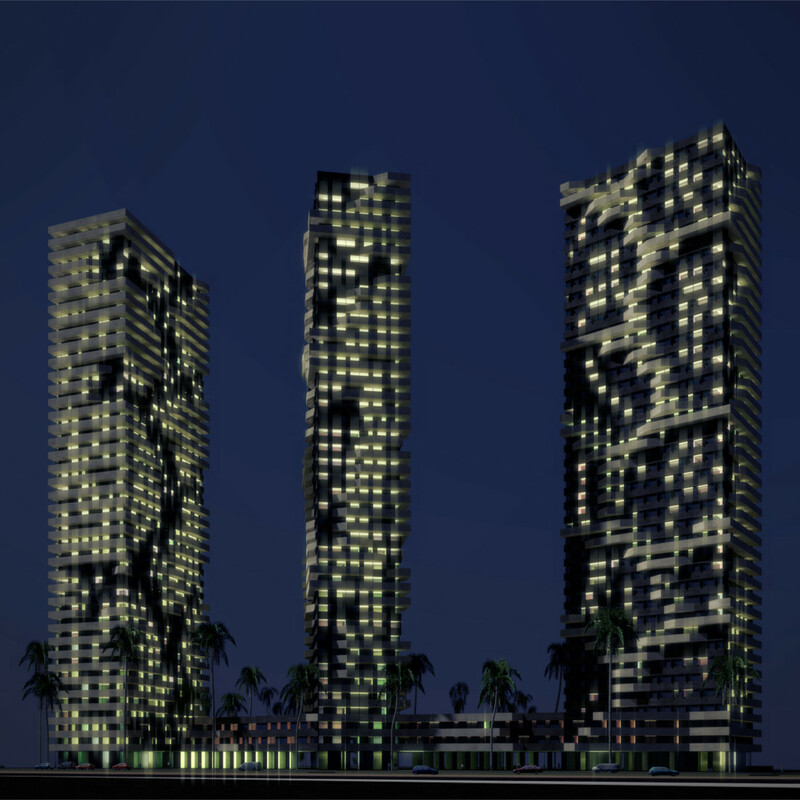 The Oran bay in Algeria is under change and many investments arise with new towers and skyscrapers. 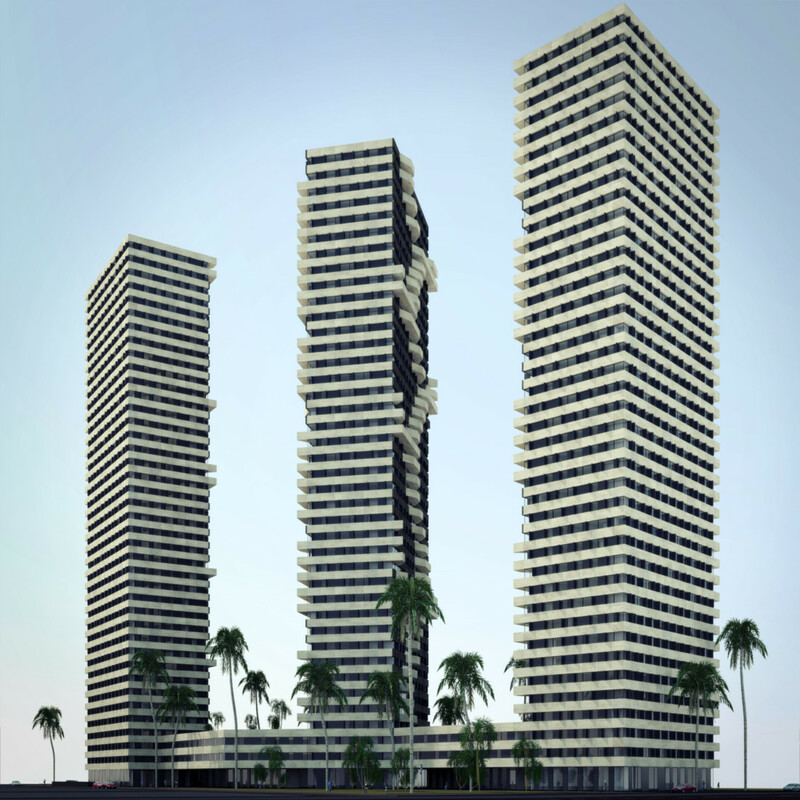 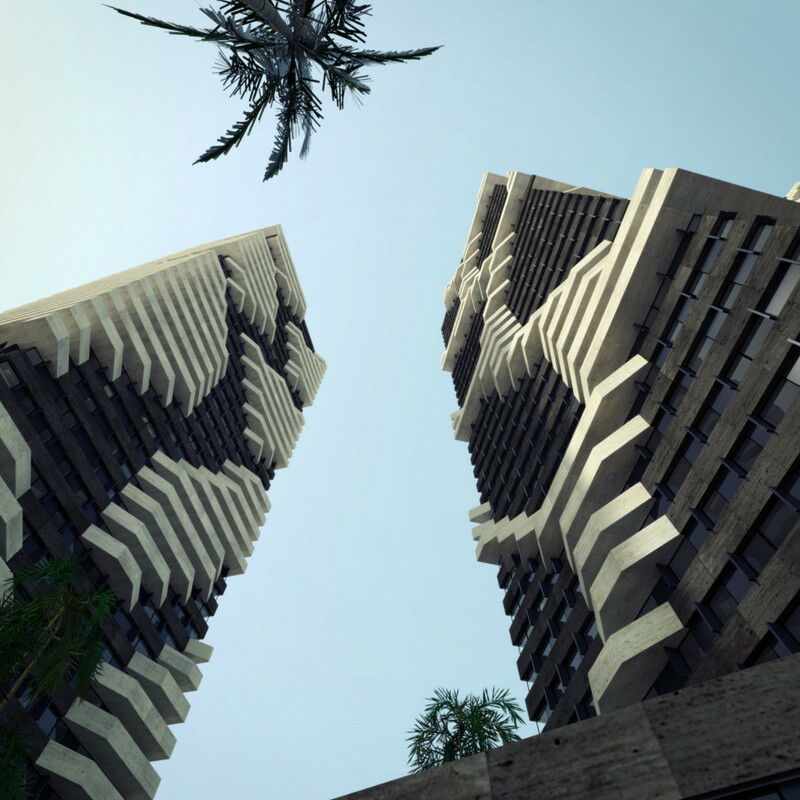 Our architects have drawn up the development plan for three residential towers and a low-level shopping center. 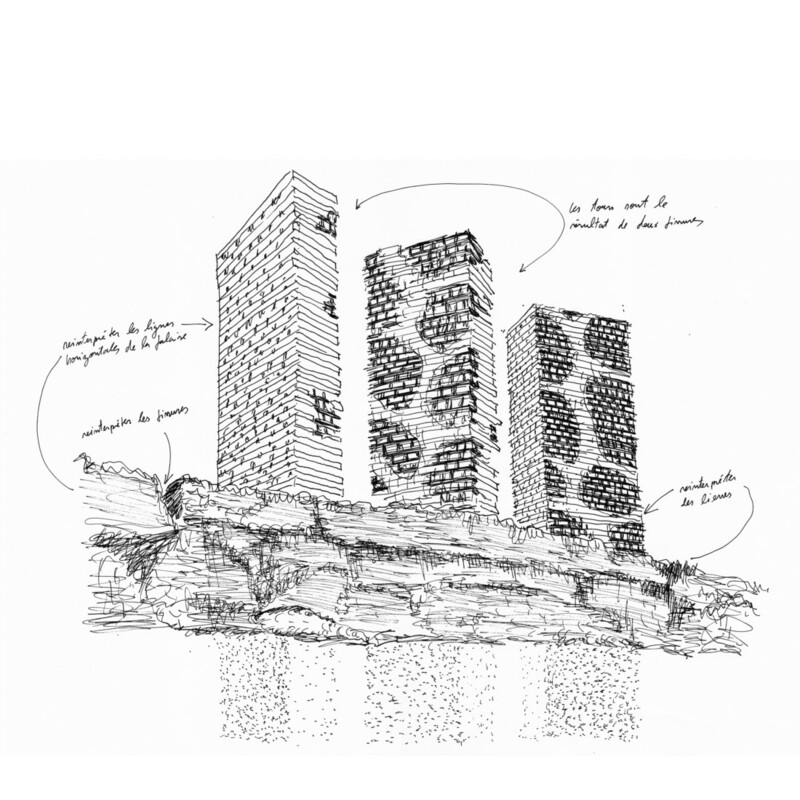 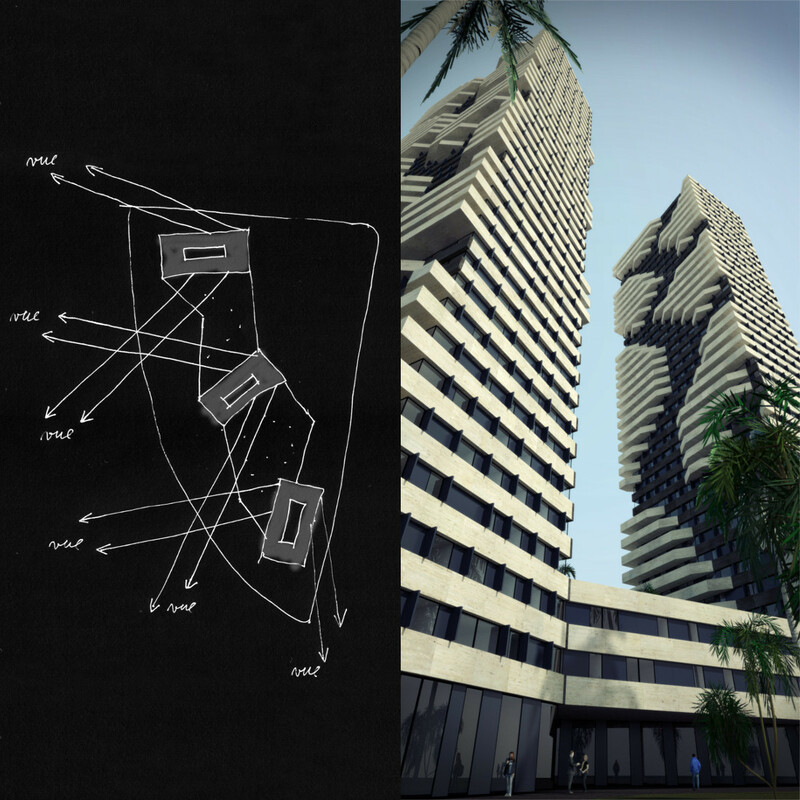 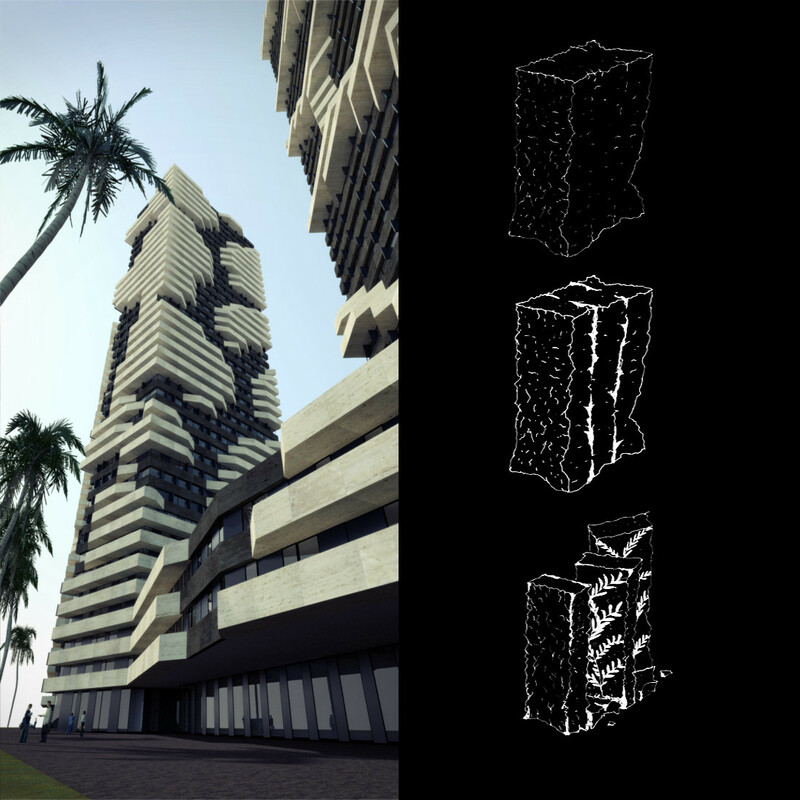 The concept of the towers recovers the geology of the place as if from a large block of stone the fossils were extracted and as if the façades were originated by that movement. 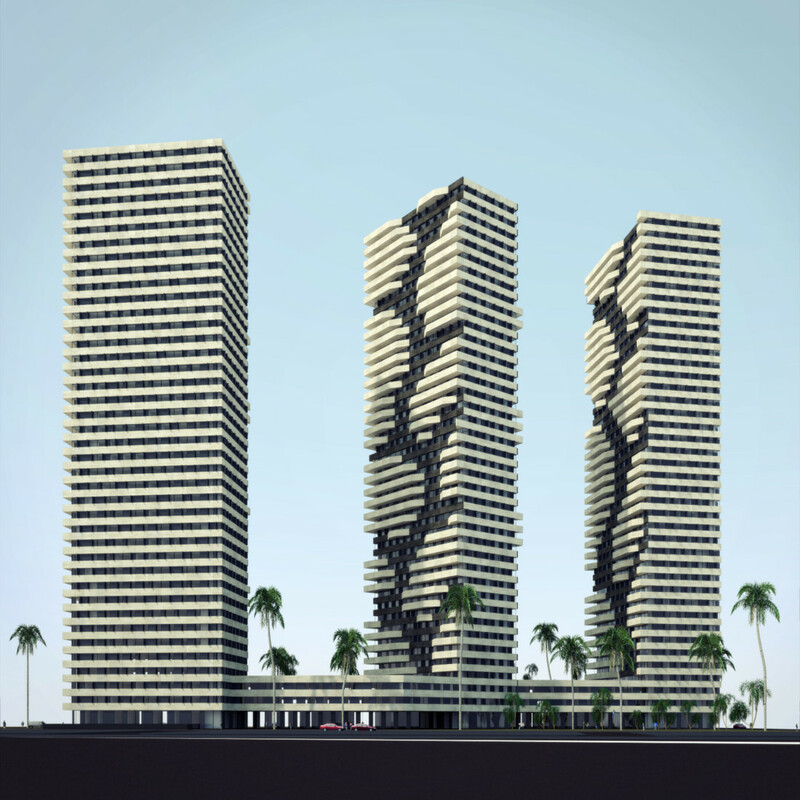 The three towers are thus more regular out and jagged facing the fractures. 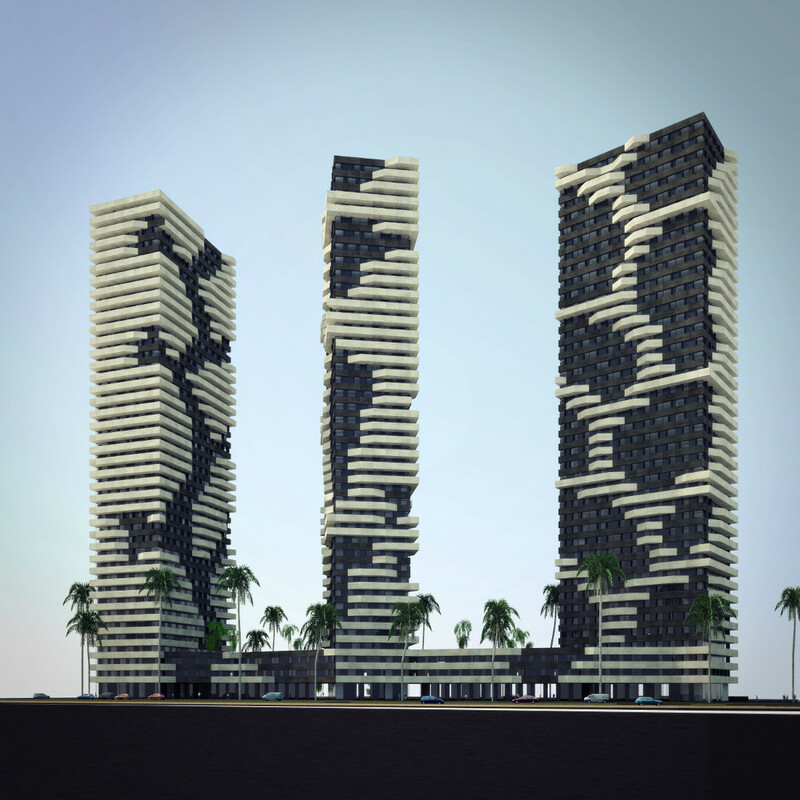 On the other hand the slightly rotated skyscrapers allow the apartments to take advantage of the magnificent views over the Mediterranean sea. 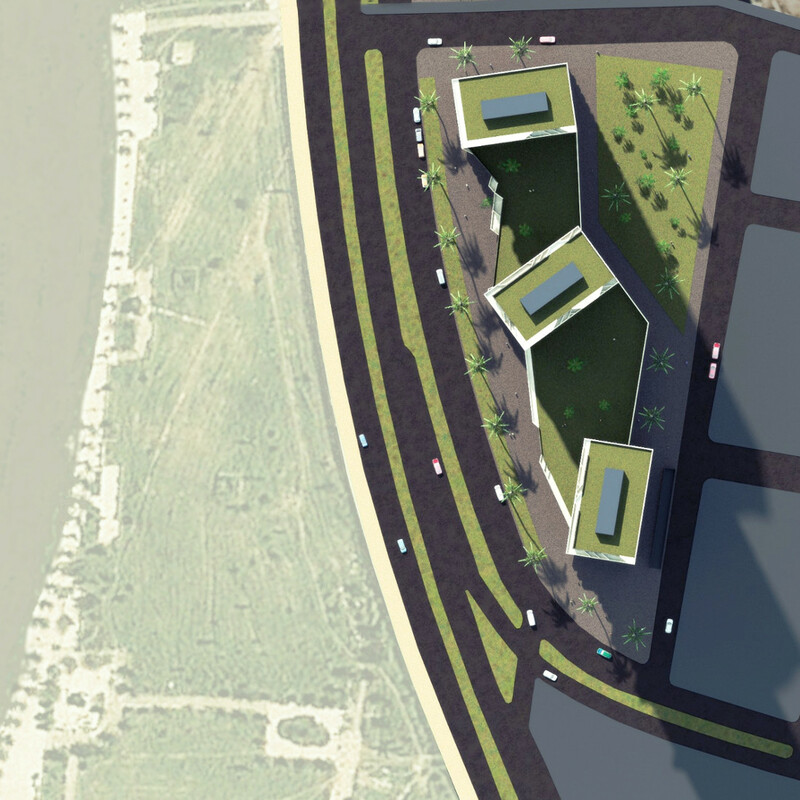 At low level, the shopping center guarantees the animation of the new sea promenade. 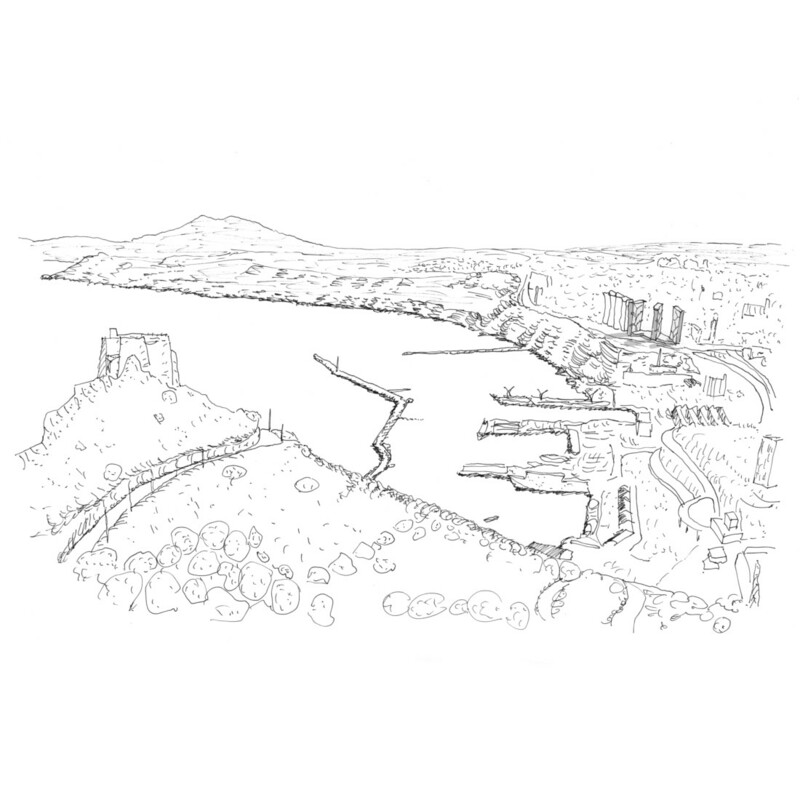 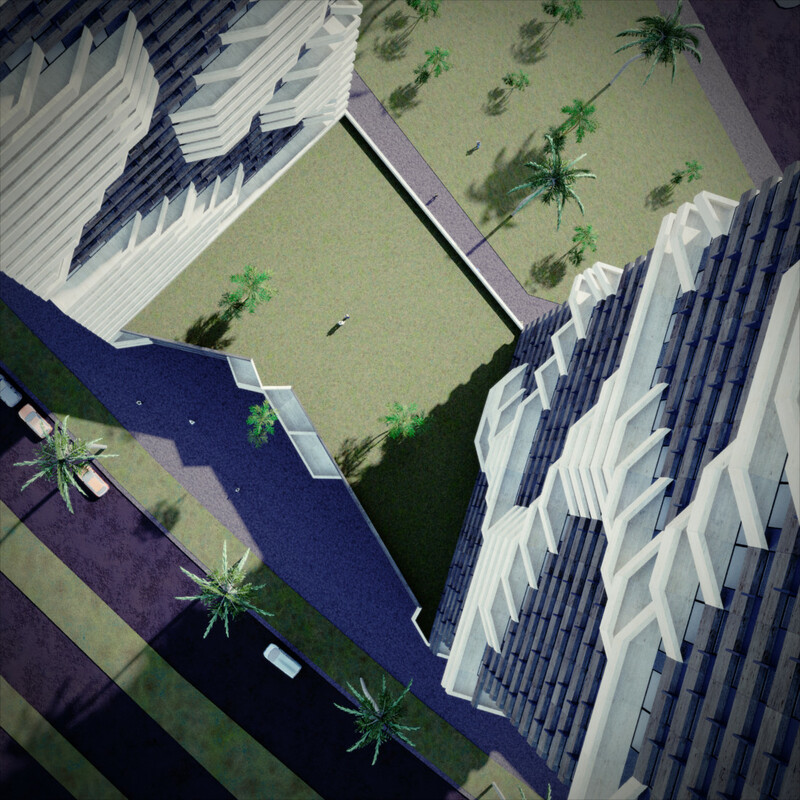 The city is densified and the towers of Oran are now an element that gives the bay a new identity for this century.